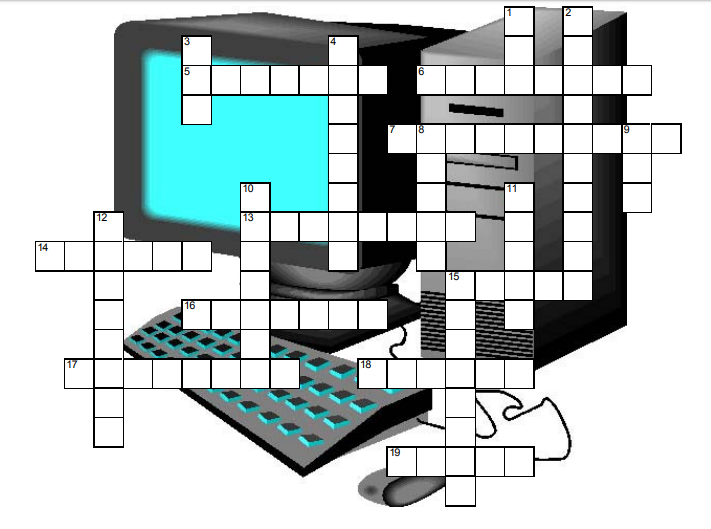 Let’s make our own crosswords! Stumped on what to get the puzzle lover in your household? Well, if didn’t find anything in our Holiday Puzzly Gift Guide, why not make a special crossword just for them? It’s the perfect do-it-yourself gift, and I’m happy to show you how! Welcome to PuzzleNation Blog’s How to Make a Crossword! The most important part of a crossword is choosing a theme. If you’re constructing with ambitions of submitting to the New York Times or the Los Angeles Times, you’ll need something inventive and tricky up your sleeve. But if you’re constructing for a friend or loved one, the theme is easy: make it about them! Choosing theme entries is often something done in tandem with choosing a grid, since word placement is a crucial part of building any grid. For my example puzzle, I’m using a list of celebrity names. Constructing a grid from scratch can be tough, so I’d recommend first-time constructors check out sample grids. You can browse the newspapers until you find one that suits your needs, or you can let the Internet do the work for you! CrosswordGrids.com has a selection to choose from, for instance. If you’re using a construction program like Crossword Compiler, you can browse options for grids as well. Now, I know all that white space to fill can seem intimidating, but placing the theme entries not only helps to guide the fill (the process of completing the grid), but breaks up that white space into manageable sections. Filling a grid by hand is time-consuming but worthwhile, because you can be creative with using pop culture references, proper nouns, phrases, abbreviations, and whatever else the grid demands. Since I was using a demo version of Compiler, I opted to try out its Autofill feature to see what my options were. As you can see, I ended up swapping the locations of SILVERSTONE and CHAMBERLAIN to improve my chances of a successful fill. After settling on the fill for the center section (spreading from bottom left to top right), I started working on the fill for the top left portion. But I wasn’t satisfied with it, so I began tinkering on my own. 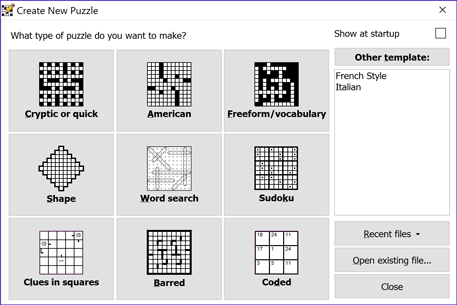 That’s probably the most daunting part of making your own crossword, but there are numerous resources available to the aspiring puzzle creator. Not only are there Autofill programs like the one employed by Compiler, but there are also websites where you can input letter patterns and see what your options are. Both Onelook.com and Xwordinfo.com are terrific resources. There would be further gridwork throughout the editing process, as I eliminated abbreviations, vocabulary I gauged as too difficult, and grievous examples of crosswordese. Don’t get discouraged! I had to try lots of different word combinations to make it come together. All of which was time well spent in my opinion. As you can see, including phrases and pop culture references definitely helped out, especially at middle left where JAWAS was a handy inclusion, as well as bottom center where IFI and AFOOL are crossing. Which brings us to the grand finale. 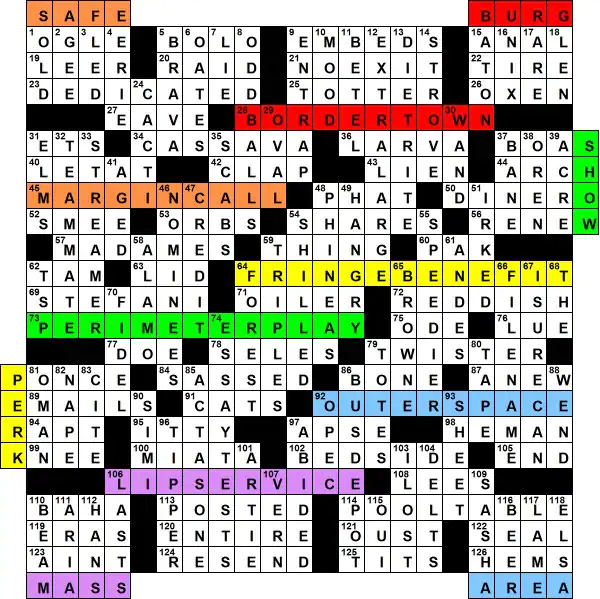 Now, cluing takes on an entirely different dimension if you’re hoping to publish your crossword, versus the cluing style you’d use for a homemade puzzle for a friend or loved one. When it comes to published puzzles, your clues need to be interesting, engaging, and more than a little crafty. My theme is Celebrity Groupings, and the clues reflect that. In this instance, the clues make all the difference. 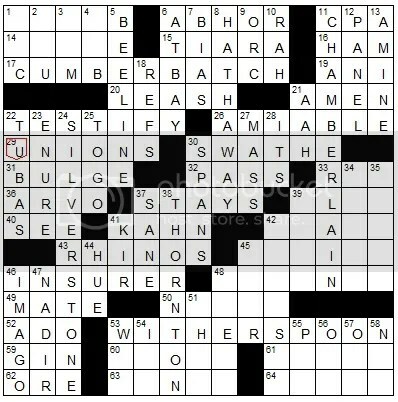 Of course, if you’re making a crossword as a gift, the above still applies. Cluing makes all the difference. You can tailor the clues specifically to the intended recipient. Inside jokes and references should run rampant, even for the words used in the fill. Have fun with it! If you can make them laugh or say “Oh yeah!” and remember a fun moment while they’re solving, it makes the gift even more special. And if you do try constructing your own, let us know how you did! We’d love to see what our fellow puzzlers and PuzzleNationers come up with!